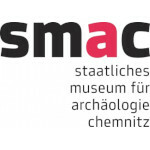 The Web Guiding Seminar is organised by the Professorship Print Media Technology [pmTUC] of TU Chemnitz. Being one of the globally leading research institutions, pmTUC is actively involved in the development of new printing and media technologies. Based on a long tradition in traditional printing press engineering, pmTUC has established as a modern research and training centre that combines conventional paper-based media with digital technologies. The research group of Prof. Dr. Arved C. Hübler is one of the world's pioneers in the promising field of printed electronics. Being the 4th largest city in East Germany, Chemnitz is an important industry and technology hub of Germany. Especially in the traditonal branches with a long history, like machine tool, textile machine, automotive and mechanical engineering, a lot of successfull companies with worldwide export activities have been established. Because of its good geographical location, Chemnitz is a popular city for tourists who want to visit the Ore Mountains. More information about Chemnitz can be found here.